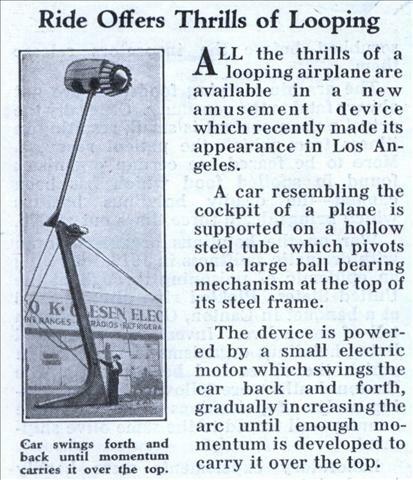 ALL the thrills of a looping airplane are available in a new amusement device which recently made its appearance in Los Angeles. A car resembling the cockpit of a plane is supported on a hollow steel tube which pivots on a large ball bearing mechanism at the top of its steel frame. The device is powered by a small electric motor which swings the car back and forth, gradually increasing the arc until enough momentum is developed to carry it over the top. 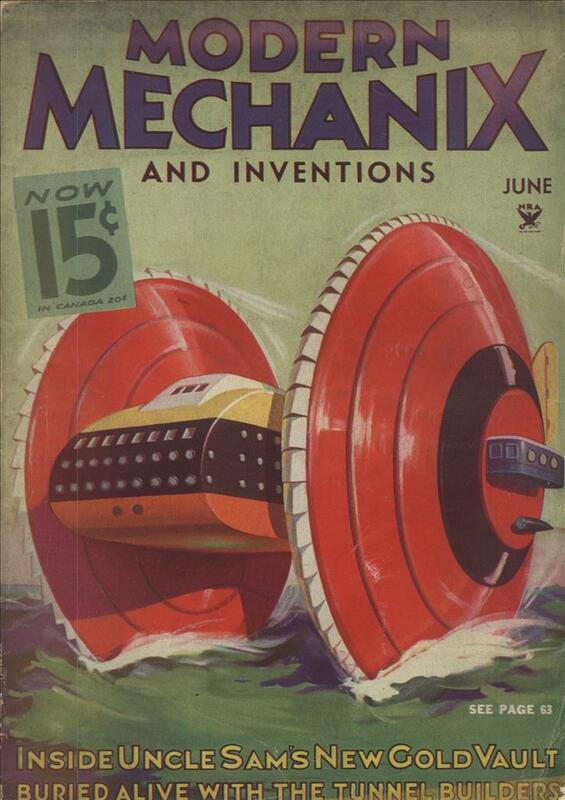 Doesn’t look look very sturdy to me. It would have been an accident/ lawsuit waiting to happen. The arm and frame looks too weak and there should be a counter-weight to balance the force of the car.